So, being this one the very first review of this blog, let´s start with a bang, shall we? 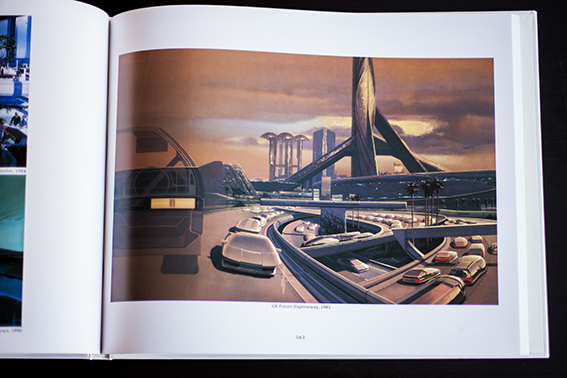 I don´t think Syd Mead needs any introduction to anyone who is reading this lines. So I won´t give any. Let´s just say he is The Master. 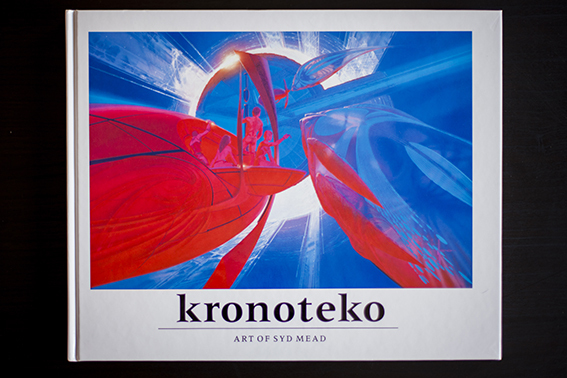 So here we have today one of the jewels of my book collection, the original japanese box of Syd Mead´s Kronolog. 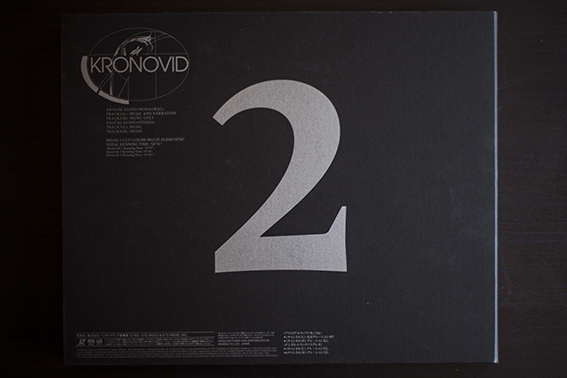 This was a very limited set published in Japan in 1991 by Bandai and it contains 2 books (Kronovecta & Kronoteko) and 3 Laserdiscs (Kronovid, totalling 1 hour of video). It was later re-released in even less quantity with 1 VHS tape instead of the Laserdiscs. Original retail price was 45.000 yen, which was quite expensive at the time (and still is). I had been looking for a reasonable-priced copy of this set for years (and in good condition) but it seemed to be an impossible search. You can find some in Amazon or eBay but never at an ok price (some lunatic is trying to sell a copy in amazon.uk at 10.000 pounds!!!). Usually you find them at around 1000 us dollars or so. Way too much for me, so I always thought that this would be like an impossible item to get. Cut to May 2012. I am in Tokyo, Japan. I went there to see the Otomo Katsuhiro exhibition in Chiyoda and even though usually I travel alone, this time I met my friend and co-worker Salgado who was also there for the exhibition. Having a walk to Akihabara he told me: “You know, there is this big box of Syd Mead books for sale in Mandarake Nakano”. My heart jumped. He continued: “and it is 21.000 yen (around 200 euros)”. I asked why the hell he did not buy that and he said he wanted to find “The Art of Steamboy” book, so he was saving the money for that. Ok. It will be MINE then. So about Mandarake. This is a chain of second-hand shops, where they sell all kinds of anime, manga and geek in general goods: books, toys, t-shirts, vintage materials, cd, dvd, blu-ray, cosplay stuff, you name it. They are all over Japan but the biggest shops are in Tokyo and Osaka. In Tokyo you can find the best ones in Nakano Broadway, a place that could be described as otaku heaven. This is a 5 floor mall full of all the japanese geek stuff you can wish and then some. Besides the multiple specialized Mandarake shops you can find second-hand dvd shops, toy shops, custom figures shops…. It is quite an amazing place to spend a whole day. So Mandarake Nakano has lots of shops in this mall and one of them is about art books: illustration, movie, anime, character design… Everything. All is second-hand so the condition varies. But one thing you should know: you can trust japanese second-hand market. 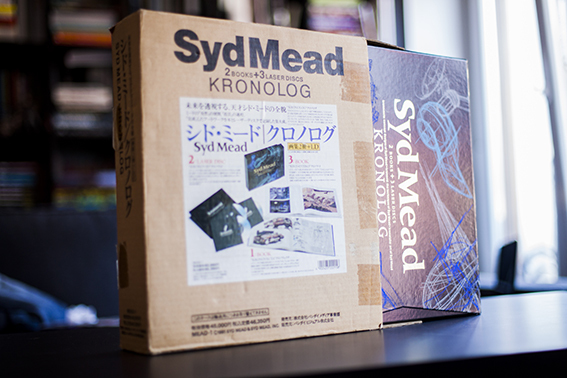 So I rushed to Mandarake and there it was, in the rare and expensive stuff area, behind a glass, the nice Kronolog box. Excellent condition and at 21.000 yen. Not exactly affordable (it took a huge chunk of my 2 weeks trip budget) but I did not think I could ever find it again in such good state and at that price. So I got it right then, right there. It is a huge box and heavy, so that limited the amount of books and stuff I could buy in this trip, my luggage weight was 20 kg. max. But it was worth every yen and gram. So let´s take a look at it, right? The box comes wrapped in a brown cardboard box with a sticker in front of it. It has pictures of the content and descriptions, and on the sides and the top you have descriptive text. 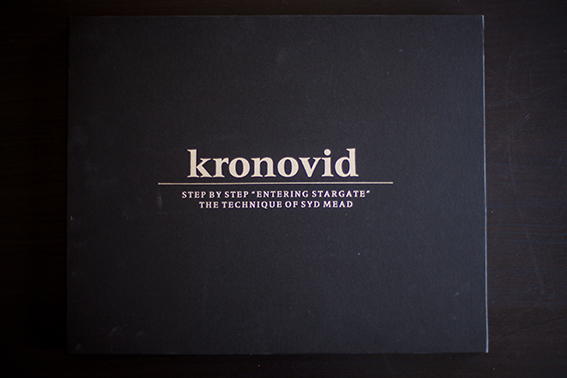 Inside this box comes the proper Kronolog box, with metallic inks and cool design. Behind we have the index of contents (in english and japanese). This box opens on one side, and an inner box slides out with the good stuff inside it. Let´s check it out. 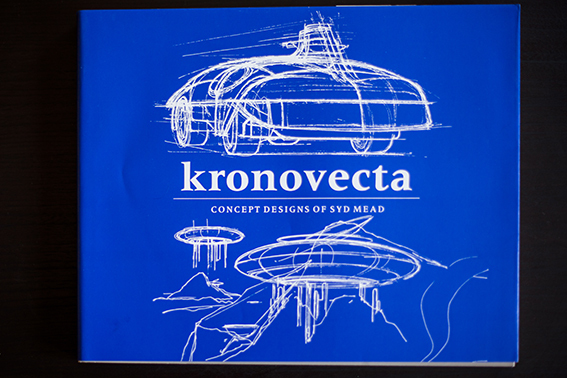 First we have the book Kronovecta (labeled item number 1 in the index). 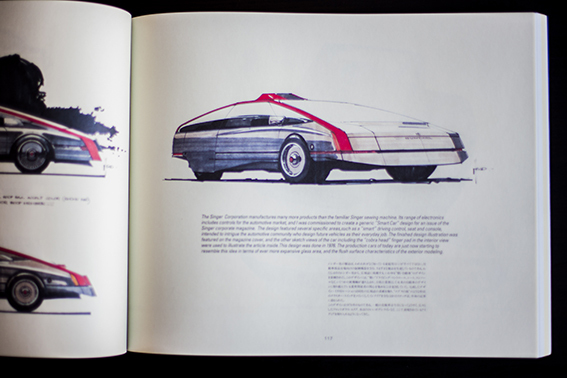 This is a thick book full of sketches and is just way too awesome to describe! Sketches of all sizes, some crude, some very detailed, spaceships, planes, hardware, film props, cars, sets, landscapes, architecture… This is a feast for the eyes and definitely gets your creative juices flowing, incredibly inspirational. Around 330 pages, some of them in color and with english and japanese text by Syd. Soft-cover. 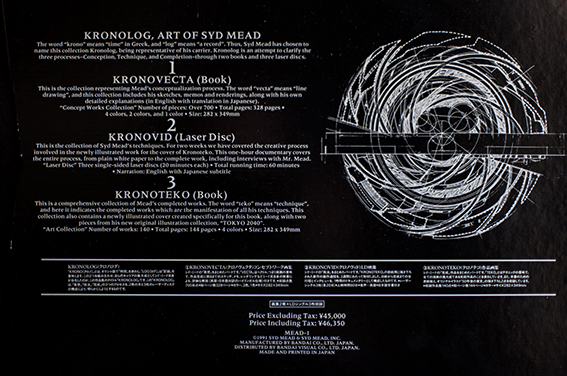 Then we have the Kronovid set, this is, the Laserdiscs, item number 2. 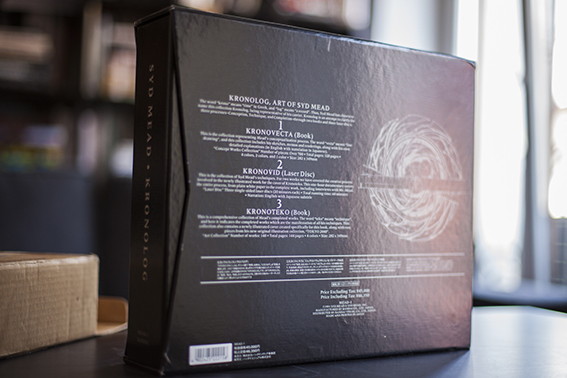 Here, in 3 small discs we have Syd preparing, sketching, drawing and painting the cover of t the Kronoteko book, a pretty cool piece called “Entering Stargate”. The Laserdiscs run for 1 hour or so, and also contains an interview (thank god my old Laserdisc player is still working!). All of this is english-spoken with japanese subtitles. 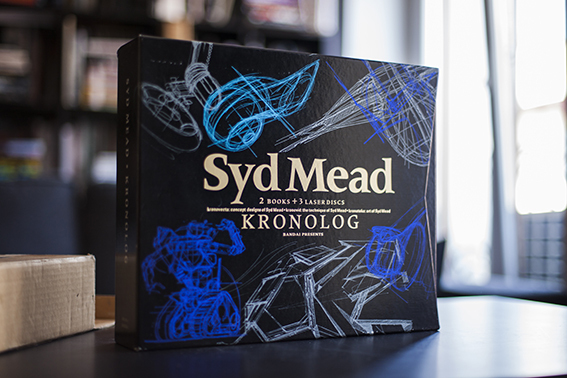 This is interesting piece but nowadays you can find an even more comprehensive and in-depth look at the process followed by Syd in the 4 dvd series released by Gnomon Workshop. 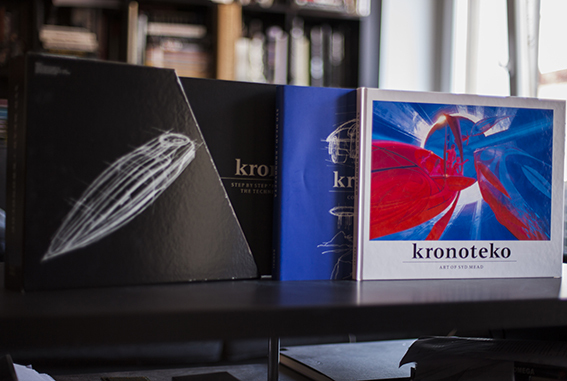 And finally we have the third book, Kronoteko, which is simply amazing. 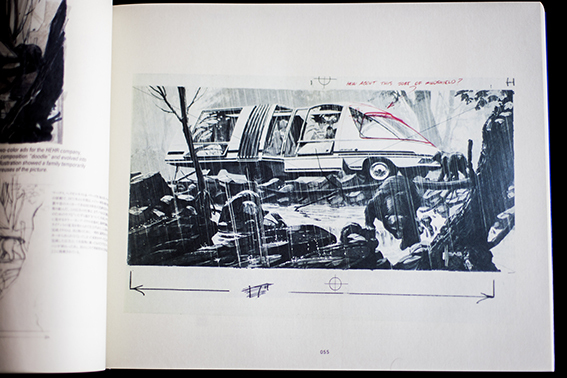 Loads of art, from car design to landscapes, yachts, film design (The Grid, Blade Runner, 2010, Star Trek…). 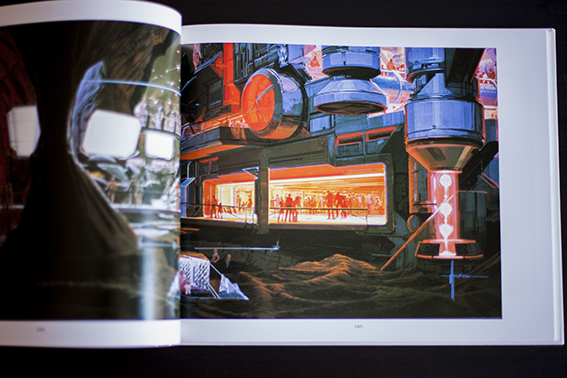 This is really a must have book if you really love Syd Mead´s creations. 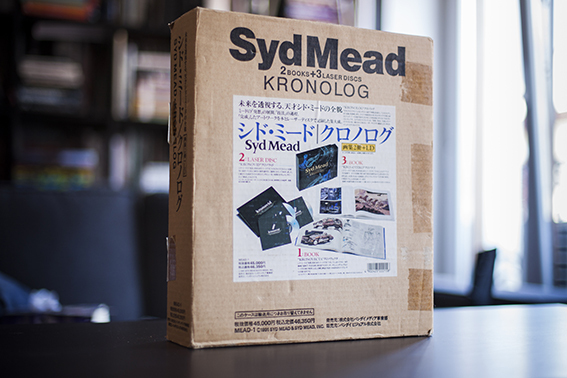 It is a hardcover book with excellent paper and english/japanese text by Syd himself and around 140 pages. And this is it. At least about this book but not about Syd in this blog, because I have more of his art books ready to review here: Oblagon, Sentinel I & II, Sentury I & II, the Studio portfolios… Most of this stuff is long out of print, so I think it is about time someone re-releases all Syd´s books at normal prices. 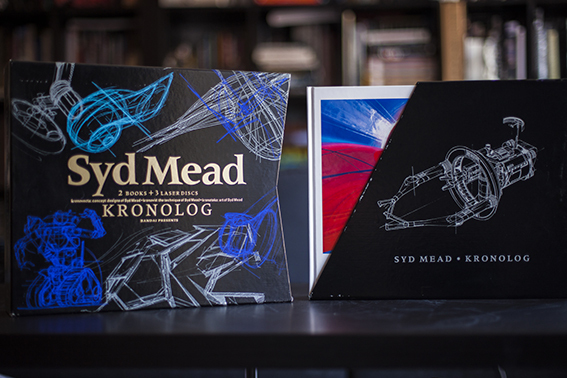 Being a Syd Mead fan is easy but getting his stuff can break your bank. 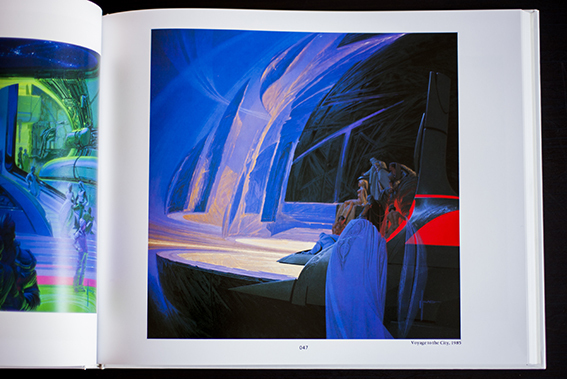 Thanks to Syd Mead for creating such a wonderful art and such amazing books and to Salgado for not buying this when he had the chance. Unfortunately he did not find “The Art of Steamboy” book, but worry do not, you´ll find it! Well, I hope you enjoyed the review. Back soon with some japanese stuff!